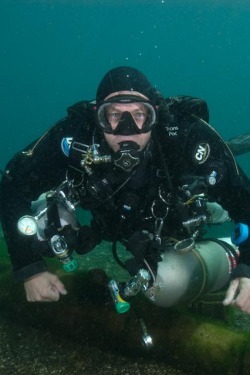 Sidemount? Isn't that for Cave Diving? Gas shut down drills are much easier in SM. Gas monitoring is a matter of glancing down at the gauges in SM. Trim is much (MUCH) better and more easily achieved in SM. Your back is flexible still in SM! No doubles, manifold or bands to buy in SM.